With so much to focus on in the classroom it can be easy to switch into auto-pilot when it comes to giving your students feedback. Unfortunately this often cheats you and them out of a meaningful learning experience. So what can we do to be fully present in the classroom? Your mind and body must work together so if you're going to be mentally engaged with your class you need to be physically engaged as well. Try to exercise before or after work, this will improve your sleep and overall health which will make it easier to focus during the day. You can also include your students in your exercise by starting each class with a brief physical warm-up. This will bring the same benefits to your students! The better you get at separating your work-life from your home-life the better the classroom experience will be for you, your students, and your family. This doesn't mean you shouldn't share elements of each world with the other. It simply means you deserve to have quality time away from each. The art of teaching requires balance in all aspects of your life. Explore hobbies, go on trips, spend time with people outside of work - these activities will keep you fresh when you're in school. If you're having trouble focusing on what your students have to say, practice listening and repeating what you hear. You can say things like, "So what you're saying is..." "Am I understanding this correctly?..." This makes the speaker feel heard and ensures that you understand what they've said. Pay specific attention to your students' body language, tone of voice, facial expressions, etc. If you're focusing on these things you're less likely to get distracted. Try to remember details and practice recalling things your students said at the end of the day. If you can remember these things, chances are good you've been fully present during the day. With so many ways for people to get in touch with us during the day it's easy to be distracted, even when we're teaching, by the world outside. Confine the use of your email, cell phone, pager, ipod, blackberry, etc. to times when students are not present. Even though its tempting to stay connected all day long, you'll find that you can enjoy the moments in your classroom more when they have your undivided attention. It goes without saying that a well planned day goes much better than one planned on the fly. It's not always easy to have everything planned in advance but doing so greatly reduces the stress on you and your students. Try to always be prepared at least one day ahead and have all the materials you'll need for a lesson ready before class begins. At the end of the day take 20 minutes to put everything in order for tomorrow. This ensures a calm start to the morning and a calm morning bodes well for the many hours that follow. Most of us remember learning in classrooms where everyone was doing the same thing at the same time. We turned out okay, so why should our teaching today be any different? When I was growing up my grandmother entertained me with stories of her school experiences in a one-room schoolhouse in North Dakota. She described Norman Rockwell-esque scenes of trudging through snow to class and huddling around the potbelly stove while the teacher read stories and the class performed plays. What I could never wrap my mind around was the idea of all these kids, babies through teenagers, learning from just one teacher. I always asked my grandmother how it was possible for all the students to do the same thing in her school when they were at such different ages. She always said, "they didn't." My grandmother went to a school highly specialized in the art of differentiated instruction, and that was nearly a century ago. Today, what seemed like the unfortunate instructional necessity of poor rural schoolhouses is actually being heralded as the best way to help all children learn. What I didn't realize as a kid listening to my grandmother's magical school stories is that students actually shouldn't all have been doing the same thing in my classes either. It doesn't take a rocket scientist to realize that every human being is different and so it logically follows that we can't possibly all learn the same way. But our schools today are designed under the false premise that we do all learn in roughly the same way. If they acknowledge difference at all it's usually through ability grouping or tracking so "gifted" and "struggling" students are in separate classes. Within these classes there will still be a wide range of difference in student interest, ability, and learning style - but generally speaking teachers are expected to teach everyone the same way. Teaching as the teacher did in that one-room schoolhouse in North Dakota is a lot of work. It requires knowing each student intimately for her strengths and her weaknesses and devising an instructional plan tailored specifically to that child's needs. In my grandmother's school you had 14-year-olds learning to read next to 9-year-olds writing essays because depending on your parents' occupation you might be well behind your peers thanks to many months of the year spent working the fields. The teacher was expected to take each student as he or she came - and work to bring everyone up from where they were. In essence, to help each student achieve his or her potential. What if that were the goal of classrooms today instead of everyone achieving some generic measure of achievement as determined by an end-of-grade standardized test? Differentiated Instruction matters because the life of each child in our care matters and sacrificing even one child in the name of efficiency seems unacceptable when we consider the long term ramifications of that decision. 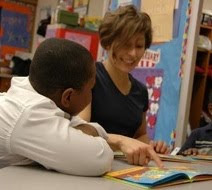 If the slow reader in 1st grade gets passed along to second grade without the support he needs we all know how that cycle goes - we end up with entire high school classrooms filled with 18-year-olds reading at an elementary level. Those 18-year-olds graduate (if they're tenacious) without the skills to get further education and, unless they're particularly industrious, will be limited to low-paying jobs and a lifetime of struggle to make ends meet in an increasingly expensive society. We all know these students. Whatever grade you teach you probably have more than one in your class. And when you consider the needs of everyone else in there, it seems impossible to find the time to help each and every student move from where they are to where they need to be. But this is the incredible responsibility and opportunity of the teacher. If you wanted to mass produce something every day, I hate to be the bearer of bad news but you probably chose the wrong profession. Most of us are not teaching in one-room school houses today, but we are still teaching in single classrooms that house tremendous diversity. When confronted with the feeling that teaching to all those needs is impossible it's helpful for me to remember what was possible a decade ago in my grandmother's school. Differentiated Instruction isn't some newfangled teaching fad - it's just plain good old-fashioned teaching and it's what every student deserves. Fall is on the way and so is another exciting football season! Is your school or community’s football field ready for action? Check out the NFL Youth Football Fund Grassroots Program efforts to improve football fields under Opportunities for Communities and Schools. Starting this fall in Washington D.C., New America will be offering $1,000 to the student who best answers the question, “You have just been elected the President of the United States. What is the most important thing you will do to improve the lives of America's children?" The contest is open to all public and private high school seniors in Washington, D.C. this year. Essays must be no longer than 600 words and must also be accompanied by the Official Entry Form. For further information, visit New America’s Website. Saturday, October 13th, 2007, 9:00 a.m.-1:00 p.m. The Character Education Partnership (CEP) recognizes K-12 schools and districts throughout the U.S. demonstrating outstanding character education initiatives that yield positive results in student behavior, school climate, and academic performance. Although winners may differ in method, content, and scope, all emphasize core ethical values such as honesty, respect, responsibility, and caring. The criteria used to judge award winners are CEP’s Character Education Quality Standards. Eligible applicants include public and private schools. Approximately 10 winners will be awarded $20,000. For further information, visit Character Education Partnership’s Website. America's Promise Alliance recognizes outstanding community-wide efforts that improve the well being of youth. Winning communities, both urban and rural, have developed innovative ways to solve problems that improve the lives of children and young people through the power of America’s Promise Alliance’s Five Promises. Selected communities will receive national recognition and media exposure and are eligible to participate in post-competition request for proposal process for $300,000 in grant funds. For further information, visit America’s Promise Alliance’s Website. The NFL Youth Football Fund Grassroots Program, a partnership of the National Football League Youth Football Fund and the Local Initiatives Support Corporation (LISC), provides nonprofit, neighborhood-based organizations with financial and technical assistance to improve the quality, safety, and accessibility of local football fields. Applicants may request a maximum of $200,000 from the program to be used for capital improvements. For further information, visit LISC’s Website. What is a "Highly Qualified Teacher?" The Federal No Child Left Behind Act is up for reauthorization this year and the Miller-McKeon Discussion Draft (PDF) of the new bill presents a much more comprehensive approach to supporting high quality teaching than previously existed in the law. Since we know that for each and every challenge faced by our nation's schools, excellent teachers are the solution – this seems like a positive step for NCLB, but only if the law recognizes that a "highly qualified teacher" does much more than raise test scores. In the current law a "highly qualified teacher" is defined as "a teacher who proves that he or she knows the subjects he or she is teaching, has a college degree, and is state-certified." (ed.gov) Proof of "content knowledge" has largely been accomplished through tests like the Praxis. While we agree that teachers should demonstrate strong content knowledge, consider a parallel application of the same assessment tool: No state would ever dream of issuing a driver’s license solely on the basis of a test of the applicant’s knowledge of traffic laws—instead, we take the time to observe and evaluate applicants' performance in an actual vehicle. The same careful consideration of performance should be in place for the teaching profession and we are encouraged that new drafts of the NCLB legislation support development of a national performance-based teacher assessment. But what would a performance-based teacher assessment look for? One of the weaknesses of the previous law is that the definition of a ‘highly qualified teacher’ relied only on indirect measures of teaching skill and emphasized the importance of content knowledge to the exclusion of other dimensions of excellent teaching. We recommend the new law define "exemplary teaching" in a way that supports a bold vision of what characterizes an outstanding teacher. We are encouraged that lawmakers are starting to recognize the vital role teachers play in "leaving no child behind." But just as we do not consider a single standardized test to be an adequate measure of all a child knows and is capable of doing - we believe the measure of a teacher's effectiveness in the classroom cannot be one-dimensional and must value the qualities that make the teaching profession one of such challenge and such opportunity.